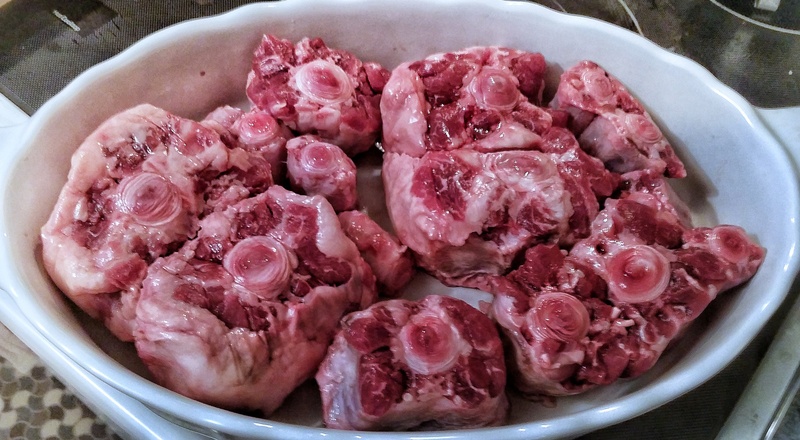 oxtail – Love your own cooking! I had quite a weekend, in terms of cooking, last weekend. I made a few treats for a dear friend’s bridal shower, and then hosted a dinner party for some old friends. Let’s tackle the dinner party first. You have to love dinner parties. Either throwing one or attending one. What’s more ubiquitous across cultures than sharing a meal in the home? My typical dinner party starts with an appetizer, main entree of some sort of meaty dish, with a few sides and then dessert. This time around, I broke my own rule. One friend happened to love my stewed oxtail, another friend loves duck. Also, I still had some of the lovely tuna Dave caught vacuum sealed and frozen, I decided to do an air, land and sea themed dinner. Both the tuna poke and oxtail are keto friendly. The duck, eaten without the pancake as Dave did, can also be part of your diet. I happen to love the oxtail as a stewed meat. It’s bone, cartilage, and bits of fat releases an amazing flavor slow cooked. 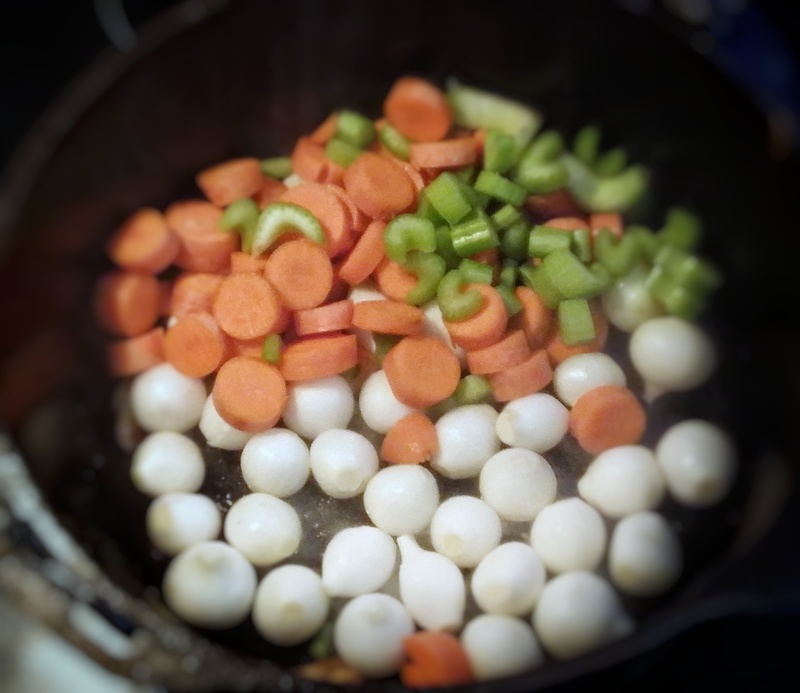 Recently I decided to steal a page from the classic French boeuf bourguignon and use oxtail instead of lean beef. 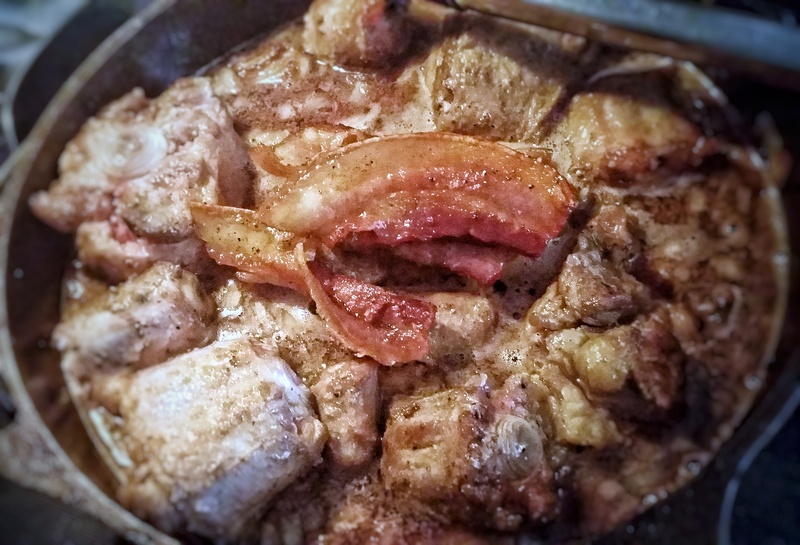 Instead of using flour to thicken the sauce, I let the lid of my dutch oven open slightly, lowered the heat and increased the cooking time. Thus, it too can be part of the keto diet. No flour. No sugar. Still pretty delicious. I highly recommend dicing all the veggies before hand. Tie the thyme, rosemary, bay leaf, parsley and celery with kitchen twine in a bouquet garni. Set aside. until all the pieces of oxtail are brown. Put it aside with the bacon. Toss in diced onions and garlic and sprinkle lightly with salt. Fry until soft and aromatic. Add cognac. Let it boil off, scraping the side and bottom of the pot. Slowly add in wine and beef stock. Toss in bouquet garni. I left a bit of string on one end to tie around the handle. It makes for easier removal later. the sauce thickens. When the beef is tender and falling off the bone it’s ready. 30-45 minutes before serving, heat butter in a large skillet, then toss in the mushrooms, onions, and carrots. Cook until there’s a bit of brown to the carrots. Pour everything into the dutch oven and cook till ready to serve.